Have you ever been invited to a party and not know what to make? You want something easy but tasty and doesn’t cost a fortune? 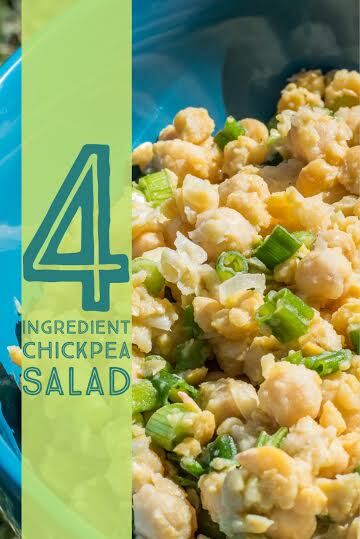 Well we have the perfect recipe for you, our 4 Ingredient Chickpea Salad! This recipe was not 100% created by us. 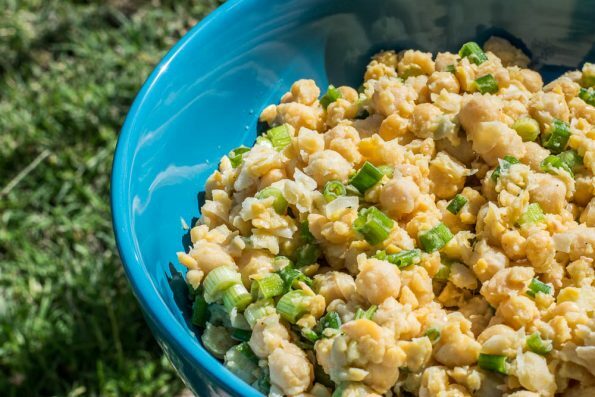 We need to give credit where it is due, our sister was the originator of this chickpea salad recipe. What we did though, was put ingredient quantities to the recipe. That is one of the great things about this recipe, it can be modified to taste. What we are giving you, is our preference. Naturally gluten free and vegan, this recipe is a crowd pleaser and is safe for most food allergies! We have found it to be a perfect side dish for the heat of the summer as well, since it doesn’t require any cooking! What are some of your favorite summer sides? Leave a comment below or use the hash tag #GeekEats! Stay cool friends! Add other half chickpeas, lemon juice, and diced green onion. Refrigerate for at least 30 minutes to let flavors build. Since I make homemade hummus with chick peas, maybe I will enjoy this salad. 🙂 Thanks for sharing. It’s super tasty! Perfect for when you don’t feel like cooking! Thanks for visiting! I’ve never had a chick pea before let alone a whole salad but this recipe will change that. Thanks for linking up to the Creative K Kids Tasty Tuesday linky, I can’t wait to see what you create next week!